IT IS REALLY THAT COOL. I'm rising £500 to feel the power of community sharing! 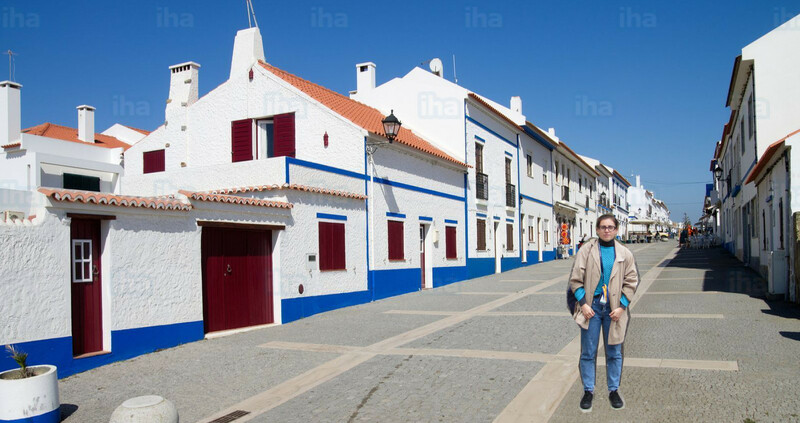 I will be going to a small village in Portugal to help a Portuguese family with their business. They provide bed, I provide skills! I've just finished my first year of International Relations & Modern Languages at the University of Essex. I'm a member of Squash Club, Swimming Club and Amnesty International Society. I have been volunteering since I was 15 years old. I love languages, travelling and sports. In my free time, I genuinely love Eurovision - I'm a vice president of the biggest Slovakian fan club and I take care of the official webpage and all of our social media. This summer, I would love to know more about cultura lusitana! desperately in love with Iberian Peninsula and I simply want to immerse myself into Portuguese. However, I don't want to spend loads of money, therefore, I try to make my volunteering low cost. I have been volunteering for many years now. Either in my community or abroad. That's made me who I'm and without volunteering, I wouldn't even think of going to Essex. For me, it is a very pure form human kindness. I will be going to Portugal and I will be surviving on this "pure form of human kindness". Portugal is a modern European country, however, there are still people who need help of volunteers. My host family in Portugal provides accommodation to the tourist. They have two properties consisting of approximately 8 rooms. They will provide me with a place to sleep, breakfast & snack and bike and I will help them with cleaning the property, accommodating guests and marketing. And I think that's amazing - I will be doing very modern things but in very old fashioned way! I will spend at least 4 weeks by volunteering (1/2/3rd July until 31st July). The rest depends on flight tickets (the cheapest option around that date). Daily volunteering will take me around 5 hours and includes preparing breakfast, cleaning, check in/out. I have one day off (dia de folga, yes!). The essential part of my spending will be the transport. Prices of flight tickets (from my home country - Czech Republic) are going up every summer. Plus, as it is a really small village not close to any other city, it takes time and funding to get there. The rest will pay me meals - as the family can only provide me breakfast and some snack, I will do my shopping and cook. Any extra funding would be very appreciated and would bring interesting and special souvenirs to my kind donors. I will provide updates before the start of the project, in the middle and in the end. It might be complicated to be online every day or regularly. This budget is based on a current prices of flight tickets. JUST DO IT, JUST DO IT FOR YOUR...Rewards! The best souvenirs Portugal can offer are coming to you! (no, I won't bring any pasteis de nata, please donate anyway!). I will try to bring something small and original. PPS. : I know, my photoshops skills are really poor...or aren't they? Something Portuguese and something small - a magnet! A magnet for your always empty student fridge to remind you how awesome and generous you are. A very special mug. For your morning coffe or for your afternoon tea.